Gleam like pale meteors through a watery night. A collection of texts for the roleplaying game Eclipse Phase, by me, Anders Sandberg. Many were first posted on the Eclipse Phase Forum and discussed there. They are creative commons like the game. And cold, on the pillow’s dark side. Meltwater - A community project describing a small boomtown east of Hellas Planita on Mars. The Underground Railroad - a group devoted to freeing enslaved sentient beings across the solar system. The Vectors - a group seeking to spread the Exsurgent virus. Mathias Chikawe Station - An Argonaut habitat around Saturn. JCCC - Julián Camilo Conrado Cerdà, former world leader and master plotter. Gloria Eveninglight - Infamous outlaw biodesigner. Redoubtronics - Backup service for people who want to be really, really certain of survival. Wanderlust station, Fernweh & Isonautics - A hypercorporate suburb, a wreck and a minor hypercorp with secrets. Consultancies - When you need spin doctors. Solar Education Initiative - Education or propaganda? Thermopylae - Jovian brinkers dedicated to the pure human life. Tank habitats - A common form of scum barge. 78 Diana - An asteroid with a dark secret. 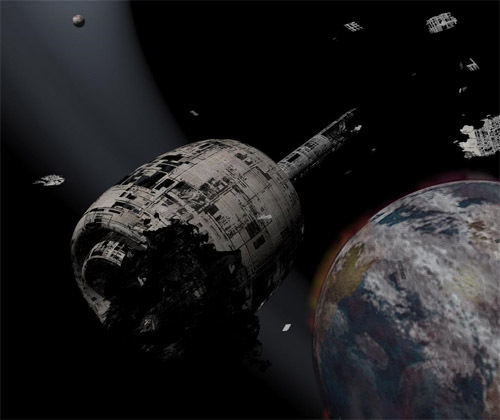 The Jancsi System - A technological remnant in the asteroid belt. Aoraki Cluster - The last remnant of New Zealand. Comet running - A deadly but fun hobby/lifestyle/sport. Yi Gu, Repairer of Reputations - someone who can protect you from smear campaigns? Khymos - Upscale restaurant, avant garde art, or mad science? Yes. Club Apurvata - If you can't wait for the singularity, this is the place to push it forward. Extrade - Prediction market company. Never trust a prediction the originator doesn't bet on. Best Do It So Plaza - Traditional extropian street life. The Vault and Isei - Infolife on the shadier side. Reginald Neophyte - AGI master manipulator. Sacred Vengeance Corporation - For all your revenge needs. Security and justice organisations - Companies, a foundation and a magnate. First Arc Recycling - Demolitions firm. Rosary Square - A quiet square behind the Bund. Grand Lodge of Mars Condatis - Hermetic order in Valles. General Abdallah Osman al-Fadil - the man who sold his nation, literally. Bishop Florigen - the bishop of Our Lady of the Flowers, high priest of petals. Ne Plus Ultra - bodyguard for hire. New Traits - New positive and negative traits. Technological complexity - A system for avoiding featuritis. Movement rates - Movement rates collected from the game books. Transhuman capital - Post-Fall labor economics: how hiring people, indentures and slavery works. Roach Motel Protocols, Smart Contracts and Microtorts - When reputation and trust isn't enough. The Betta - A luxury morph, impractical and beautiful. Skinthetic Beowulf - A wolf morph. Firewall guide to unconventional weapons - New and unusual ways of hurting people and things. Primitive melee weapons and primitive ranged weapons by Colin Chapman - sometimes low-tech is the way. Spy gear - Gear for would-be James Bonds. The Automated Transcendence Machine - Instant enhancement, at a price. Notes on communications - How long lags do you get over distance, and what are some major communications corporations? Neuralware - Psychosurgery adding artificial neural connections to the brain. Neural hacking - Cheap and cheerful mental upgrades. Pathotronics - Mental enhancements based on pathologies. More neurological damage - Various forms of neurological damage for dented egos. The Workshop of Dionysos - Drugs, narocalgorithms, biologicals. Drugs from Spiderhead - Drugs inspired by David Saunder's short story. Pleasure enhancement and the Abolitionists - Ways of feeling really good, and a faction that want to maximize pleasure. Merging me, myself and I - About merging forks. Overclockers - People pursuing mental speed at any cost. Coiled alizarine unconformity - A human botnet. Think Before Asking - An adventure among the moons of Saturn. Lurking in every flower - Death, madness and flowers. Indigo Latitude - Testing the breaking strain of the human soul under the clouds of Jupiter. The Black Spot - Sometimes the treasure is betrayal. Armstrong's Gold - The treasures of Luna. An Essay towards a Real Character and a Philosophical Language - The dangers of computational linguistics. My invisible friend - Securing dangerous technology in the middle of a revolution. The breakfast says: hi! - Something that might turn into comedy or disaster. The Gate War - Gatecrashing campaign setting. Red red red - Smuggling and guerillas in the Martian Outback. Fall criminals - Some of the greatest criminals of transhuman history, and the groups hunting them. Aliens - Some alien civilizations that might be encountered by gatecrashers. Martian cities, outposts and roads: KML file for Google Earth. Pork-chop plots - Maps of necessary deltaV expenditures for spaceships, useful for trajectory planning. A mini-tutorial in reading them. Distances in the solar system - Average, maximum, and minimum distances between solar system bodies.